The 1690’s compact design allows it to fit on your bench-top while the foot pedal gives you hands-free operation. Quickly and easily size muffler end tubes and pipes. The 1690 comes with the tooling shown above for expanding capacity from 1½” to 3½”. Additional tooling gives you expanding capacity from 1” to 5½”. Updated Description: Includes 572 and 573 Solid Piece Arbors as well as 472, 474, 475, 476 and 477 Segment Sets. 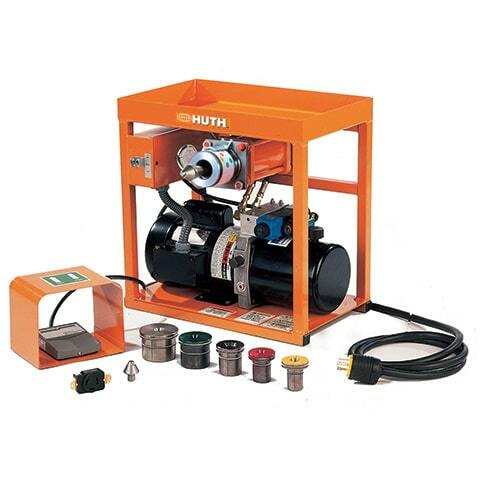 Create custom brackets with Huth’s Rod Bracket Bender (optional). Powerful 2 HP motor available in 110V, 30 Amp or 220V, 20 Amp. Motor runs on both 50Hz and 60Hz. 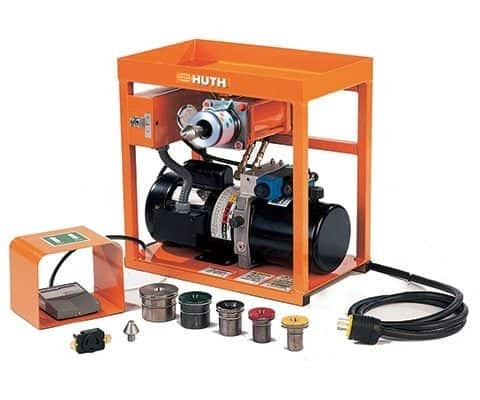 Features Huth’s Accu-Sizer™ system for quick, precise expanding each and every time. Fill out the form and Garage Equipment will get back to you quickly.